Can I send my birth plan to a hospital? Sarah sent hers to three. Here's the birth plan a Brisbane mum sent to three hospitals before she found one that agreed. “What the f*** just happened to me? I left the hospital feeling like I had just been swindled by a set of very well organised con artists after the birth of my first child,” Brisbane mother of two, Sarah*, said. Despite being a lawyer and teacher, Sarah didn’t even realise she had options in the birth until she was 38 weeks pregnant and instead, placed her trust completely in the hands of care providers. “No one told me I could say no. I thought that in the public system you just get what you are given. Once I did realise and was negotiating my care to the best of my ability in hospital, I didn’t realise how skilled care providers can be at carefully making sure that the train, you think you are now in control of, is deliberately set on a certain track,” she said. Without a birth plan or an advocate, Sarah found herself at the mercy of the hospital system and what she hoped would be a drug-free natural birth with skin-to-skin contact, ended up as a what she describes as a “train wreck”. Sarah&apos;s second child 10 hours after the birth. Image: Supplied. Things started to go off the rails when a late term ultrasound suggested the baby was small, she lost her MGP midwife, was referred to a larger hospital where an induction was recommended, which she agreed to, which set off a cascade of intervention, including stretch and sweeps which were performed without her consent and Syntocinon turned up too high. “My baby was posterior and after a couple of lactate tests there was a discussion of whether to do forceps or caesarean. The epidural top ups didn’t work and I was wheeled into theatre for a caesarean while I could still feel everything, screaming. My husband wasn’t allowed near me and my baby was pushed back into me while doctors debated over whether to give me a spinal or general," Sarah said. When her baby was finally pulled out instead of being immediately handed to Sarah for skin-to-skin contact, she was measured and weighed and then handed to her husband. She was not growth restricted and despite coming out with two apgars of nine, she was taken to special care nursery with severe jaundice because of her difficult entry into the world. “When I saw my body for the first time the next day, cannulated, stitched and covered in the remnants of all sorts of medical tapes and topicals I felt like I’d just come out of a war scene. 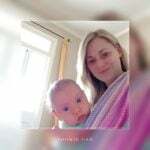 I started crying and could not stop for days,” the new mum said. Sarah said these feelings continued for months afterwards and almost destroyed her marriage. She now believes she was probably suffering from post-traumatic stress disorder. When Sarah became pregnant again she had to find a way to overcome her biggest fears - mistrust and fear of hospitals. She knew this meant taking control of her care and finding a means to avoid negotiating her wishes with a stranger during labour. “I needed to create a tool that was supported by care providers that allowed me to opt out of a recommended course of action. I know this is easier said than done as circumstances can and do change during pregnancy, labour and birth,” Sarah explained. Sarah spent two years formulating a birth plan in her mind and the believed the most important thing for her next birth was a plan that provided context. The plan consists of several parts, each designed to serve a specific purpose. The first part explains what happened during her first birth. The second part is designed to let doctors know who they are working with – an educated, informed woman, who has done her research and knows and accepts the risks. The next part sets out very clearly what she wanted and what she would not consent to. The final part sets out what should happen if a caesarean is absolutely needed. This is very specific and tells doctors how the procedure should be performed. We speak to an expert about the phenomenon of orgasmic birthing, on our parenting podcast. Sarah submitted her birth plan to one hospital who refused to follow it. She then presented it to another hospital and the although the first obstetrician was happy with it, Sarah was still concerned that doctors on the day might not respect it. “A senior obstetrician signed off on it and suggested I take it to the high-risk team meeting. They invited us to come and talk about to them and we met with the professor of obstetrics and the patient liaison person. We talked about what would happen if specific scenarios arose,” she said. Another two-page document was then typed up by the hospital and added to the initial birth plan. “I left the hospital feeling like it was a safe place to be. I cannot underestimate the significance of this; it was actually life-changing for me and my family,” she said. Sarah believes birth plans for women are incredibly important and urges all women to take the time to write one. “I feel the default is that you don’t have a voice in the system and you have to fight to make it heard - your birth plan is your most powerful tool to do that with," she said. "Keep having conversations with the hospital to make sure you have umbrella coverage from the hospital and it is signed off by a senior obstetrician. "Of course it is not about making sure birth plan goes to plan, but about making sure women do not feel patronised or traumatised when in hospital." Sarah ended up having a magical birth, which has helped her heal significantly from the first. My last hospital experience was the most difficult time of my life - misdiagnosed IUGR, induction, epidural, fully dilated, deflexed posterior baby, emergency CS followed by a stint in the special care nursery for jaundice. My daughter was 3050g at 39 weeks and pathology showed no issues with my placenta. Therefore it is of paramount importance to me and my family that we have a better birth this time around. I am 32-years-old; I am a qualified lawyer, teacher, and maternity consumer advocate. Therefore, although I am not medically trained, I do have a much greater understanding of birth and systems than many if not most of your maternity patients. Without intending to be condescending, I am acutely aware of the concept of consent under both the AMA’s Statement on Maternal Decision-Making (2013) and Queensland’s Clinical Excellence Division’s Guide to Informed Decision-making in Health Care (2017). I have also read and understood Queensland’s Vaginal Birth After Caesarean Section (VBAC) policy document (2015). Specifically I understand that a uterine rupture is a very serious obstetric emergency which occurs in about 0.5 per cent of VBAC attempts and in order to manage this risk, monitoring, cannulation and a conservative approach to time frames are suggested. However as I am otherwise low risk, my aim while under your care is an intervention free physiological birth and bonding experience. I understand that aspects of this conflict with the recommended care for a VBAC patient, however, please understand that my risk assessment has been thorough and I do not consent to a ‘just in case’ approach at any stage of my labour or birth. My ultimate goal is a better experience than last time. This does not necessarily mean a vaginal birth, but it does mean that hospital staff facilitate the wishes in this document without the need to negotiate them. An assisted birth and/or an episiotomy – If this scenario looks reasonably likely to occur, please facilitate a different pushing position which further opens up my pelvis, allow me a reasonable amount of more time and finally, arrange for a caesarean. Once my husband is scrubbed up, allow him immediate access to me. Include me in the process and do not engage in casual conversation around me. A spinal tap rather than an epidural or a general. Try and minimise my shaking (this was a big issue for me last time). Attach monitoring dots on my back rather than my chest. Drop the curtain as my baby is pulled out. Immediate skin to skin while in theatre (this is the most important thing). Photos of my baby&apos;s birth. I do not, under any circumstances consent to a hysterectomy. The views, information, or opinions expressed in this article are solely those of the individuals involved and do not necessarily represent those of Mamamia. For further information on birth plans please consult a health care professional. * Names have been changed. While the individual in this article is known to Mamamia, they have asked to remain anonymous. Did you follow a birth plan? Tell us in the comments section below.